Imagine Dragons is an Alternative rock band based in Las Vegas, Nevada. Current band members include Dan Reynolds (vocals, keyboards), Wayne Sermon (guitar), Ben McKee (bass) and Daniel Patzman (drums). 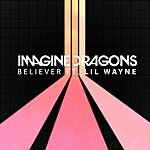 They released two EPs titled “Imagine Dragons EP” and “Hell and Silence EP” in 2010, both recorded at Battle Born Studios. 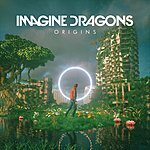 Imagine Dragons signed to the major label Interscope Records in November 2011. They are worked closely with producer Alex Da Kid (Eminem, Rhianna, Paramore) with whom they recorded their first major label release at Westlake Recording Studios in West Hollywood, California. The EP, entitled “Continued Silence,” was digitally released in February 2012. “It's Time” was released as their first single.